Photocopy page distributed by Haring around the time of his one-person exhibition at Westbeth Painters Space, New York, 1981; Xerox photocopy, 8 1/2 x 11 in. This is a single sheet of 8 1/2 x 11 in. paper that has a slight crease in the center where it was once folded. There is a stain (visible in photo). in the lower left. 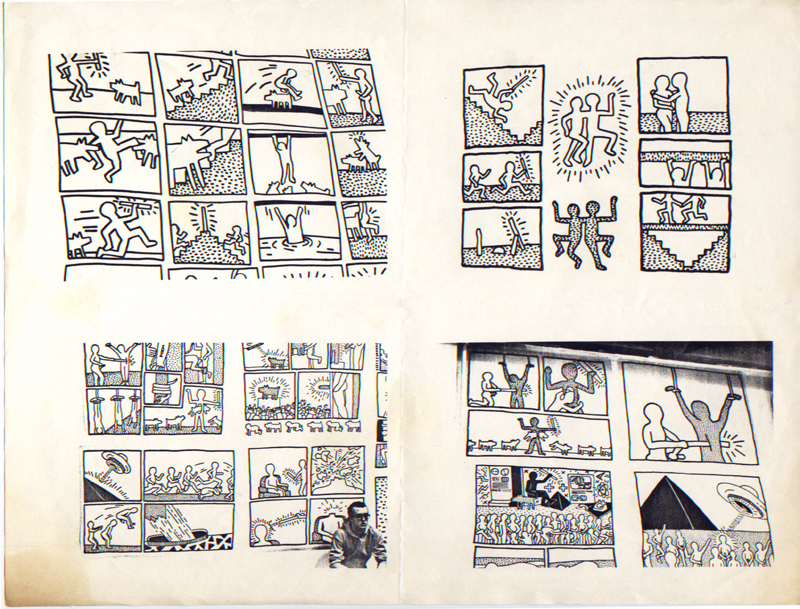 Photocopy created and distributed by Haring around the time of his first one-person exhibition, Westbeth, 1981. Possibly reproduces photographs of the exhibition.